When you order a commercial appraisal, you are paying for the appraiser’s time and expertise. A typical commercial appraisal could take anywhere from 30 to 60 hours – this often varies based on the type of report that is needed. For example, a seven-unit apartment building, reported in a summary narrative format, could likely take only a little less time as than a 14-unit building. Likewise, a 12,000 square foot industrial building will likely take about the same amount of time to complete as a 24,000 square foot industrial building. Basically, sale price and property value have little to do with the commercial appraisal fee So what does affect commercial appraisal fees? There are essentially four factors affecting the fee of the commercial appraisal: 1) complexity of the assignment, 2) availability of data, 3) report format and 4) required turn-around time. Complexity of the assignment The more complex the assignment (ie. the larger the scope of the investigation) the longer it will take and the higher the fee will be. Example a 23,000 square foot, Owner-occupied, industrial building that has continued use as-improved that is not in doubt, and also has sufficient recent transactions, both sale and rental (making data gathering quick and simple) could take approximately 35 man hours. Versus a Ski Resort. The man hours needed to drive an income approach appraisal process can take more hours and result in a higher appraisal fee. That said, the size of the property has little to do with how complex the appraisal process will be, or become. Some of the most difficult commercial properties to appraise can be small mixed-use properties, such as a retail building with a house behind it, or office over retail. This is because there few similar property transactions, thus cash-flows and sales data sets need to be blended. Availability of data As inferred in the above examples, the scope of the assignment and data availability are intertwined. Take for example, a portfolio of retail hardware stores with attached lumber yards. All have low-cost steel buildings on large sites located in small market areas. Additionally, let’s say each is located many miles apart (thus there is no data crossover between the assignments). In this appraisal, we would need to analyze the market(s) for transactions of similar buildings on similarly sized parcels. Report Format is Purpose Driven There are essentially three formats available to the appraiser, the full-narrative, the summary narrative and the restricted report (in order of cost – highest to lowest). More often than not the user of appraisal services has little control over the required report format. The typical lender must require a summary format, or higher due to FDIC insurance, but will usually order a narrative format. 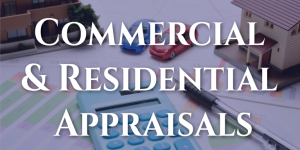 If the appraisal assignment is complex it becomes more likely that a lender will require a full narrative analysis, which can cost signifigantly more than the same commercial appraisal reported in a summary format. 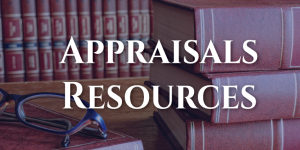 It is important to note that USPAP defines the level of detail that is contained in each of these formats, but that no matter the reporting format, the scope of the appraisal is to be the same. The most economical of formats, the restricted report, is what some refer to as a letter appraisal. However, these reports can be relied upon only by the client (again, USPAP), thus, if there is potential that a third party will need to rely on the value conclusions, this format is not allowable. A great example would be the appraisal of a property for estate taxes. Because the client needs the value to determine tax owed, the IRS is passively relying on the analysis, thus the restricted format is not allowable for that purpose. Required Turn-Around This is where the user of appraisals has the most influence on fee. We often receive calls asking for a summary appraisal of a property that is escrow with a closing date of say two weeks away. 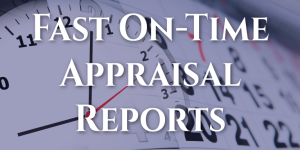 As stated earlier, the typical appraisal will take anywhere from 30 to 60 man hours, and in most cases the appraiser does not know the full scope of analysis required in the commercial appraisal until he actually sees the property. On short-order appraisals this presents a huge risk factor for the appraiser in that the fee quote is typically issued prior to seeing the subject and what data is available. As a result, the appraiser will usually factor such risk into the fee quote with considerations such as potentially having to work weekends to complete the assignment on-time. Again, per USPAP, there are no shortcuts – the analysis has to be completed to USPAP standards regardless of fee and turnaround time. This entry was posted	on Wednesday, January 7th, 2015 at 4:31 am	and is filed under Resources. You can follow any responses to this entry through the RSS 2.0 feed. You can leave a response, or trackback from your own site.